Today Namie has been followed to the supposed location of the MV shooting, at the Wufeng Lin Family Mansion and Garden in Taichung! 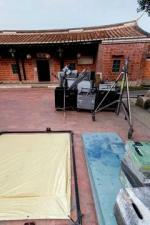 Jolin's dancers have also been spotted there (2nd pic). Journalists heard the chorus of an upbeat song and said that it was most likely a collaboration since it sounded like there were two voices! Warner has only confirmed the filming part at the moment. 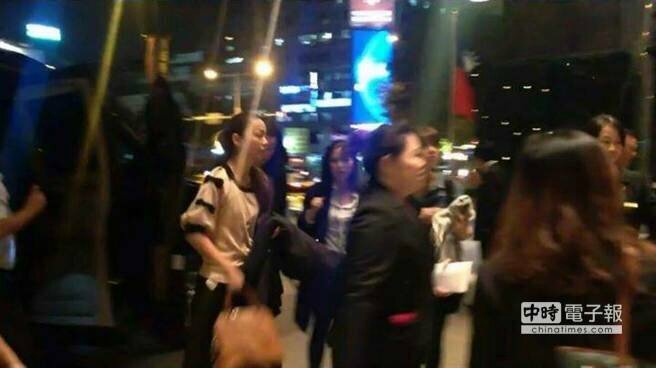 Jolin and Namie Amuro met in 2012 when the latter came to Taiwan to promote her album Uncontrolled (pics HERE). 呸 PLAY will be released on November 15th. LISTEN TO 第三人稱 THE THIRD PERSON AND I! 呸 play: i'm not yours feat. namie amuro, mv teaser! Comments on 呸 PLAY: collaboration coming with Japanese singer Namie Amuro? Woow that's so cool!!! Finally some Japan/Taiwan collaboration. Is it their first time working together?? Yes, the first time ever! Jolin just had a few collaborations in 15 years and all of them except for Kylie Minogue were with C-Pop artists (Show Luo, David Tao...).